Emerging from Vermeer's shadow! An apt subtitle for Pieter de Hooch exhibition being hosted by the Prinsenhof Museum Delft in 2019. After all, the 17th-century painter produced magnificent works. Yet it is his contemporary, Johannes Vermeer, who enjoys worldwide fame. Time to reintroduce ourselves to Pieter De Hooch! Pieter de Hooch was born in Rotterdam on 20 November 1629. His father was a bricklayer while his mother was a midwife. 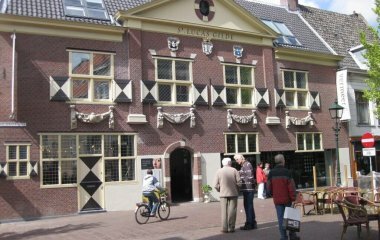 The first source stating that De Hooch lived in Delft dates from 1652. In Delft he married Jannetje van der Burch, with whom he would have seven children. In 1655, De Hooch joined the guild of Saint Luke in Delft, where he probably first met Johannes Vermeer. At the time, no one could predict that they would go on to become the most important Delft masters to emerge from the Dutch Golden Age. Pieter De Hooch was active during a time when painting blossomed in Delft. Daily life was a much favoured theme in his work. Using warm colours, tantalising views of open doorways and a natural incidence of light, Pieter de Hooch was skilled at creating congenial atmospheres on canvas. 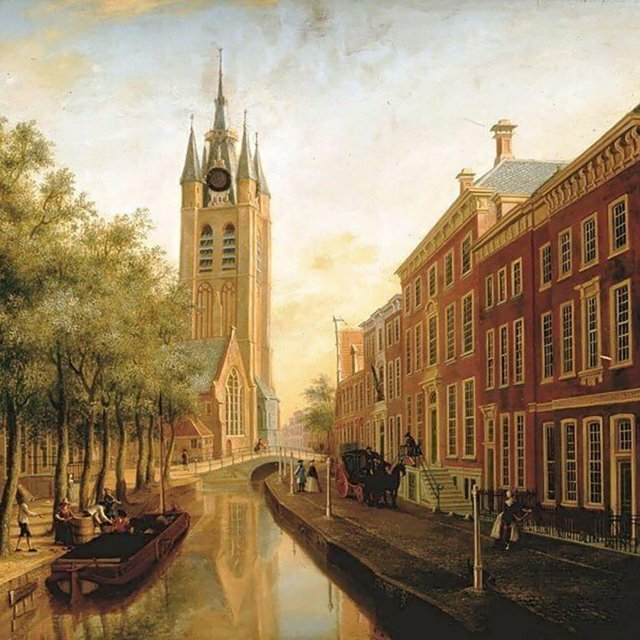 It is an ambience often seen in Delft painting. In the period that he worked in Delft (between ca. 1652 and 1660), De Hooch created his most spectacular paintings, works in which the city of Delft features prominently. For the first time ever, these masterpieces have been brought back to the city where they were created by the Prinsenhof Museum Delft. 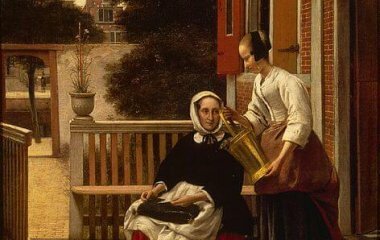 The work of Pieter de Hooch can be viewed in Prinsenhof Museum in Delft from 11 October 2019 through 16 February 2020. As this is the first exhibition ever organised in the Netherlands dedicated to this renowned Delft master, De Hooch is finally getting the attention that a painter of his stature deserves! This retrospective places at its centre the paintings De Hooch made in Delft. 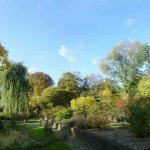 His most beautiful courtyards and interiors are returning to the city where they were painted almost 400 years ago. The around-30 paintings are being flown in from around the world, from St Petersburg to Washington. The retrospective includes paintings never previously exhibited (or last exhibited very long ago) in the Netherlands, such as ‘Seated woman with maid on a terrace’ from The Hermitage in St Petersburg and ‘The courtyard of a house in Delft’ from the National Gallery in London. 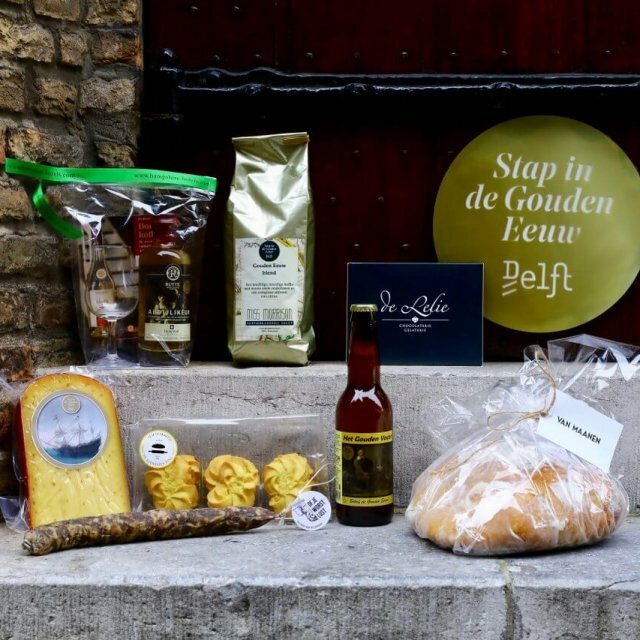 You will have an opportunity to get a foretaste of the exhibition from 24 January 2019, when the first of De Hooch’s paintings to feature in the exhibition will be displayed in Prinsenhof Museum Delft. 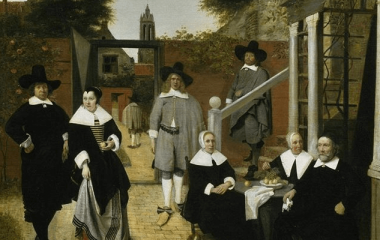 The painting in question is the famous ‘Portrait of a Family in a Courtyard in Delft’ (ca. 1657 - 1660), which is being flown in from Vienna. This work has not been on show in the Netherlands for more than 70 years. This is an excellent opportunity to admire De Hooch's work for those who cannot wait until October. The Pieter de Hooch exhibition in Delft. The ‘Emerging from Vermeer's shadow’ exhibition is a unique opportunity to admire many of Pieter de Hooch's work under one roof. So be sure to circle 11 October 2019 in your calendar in gold!